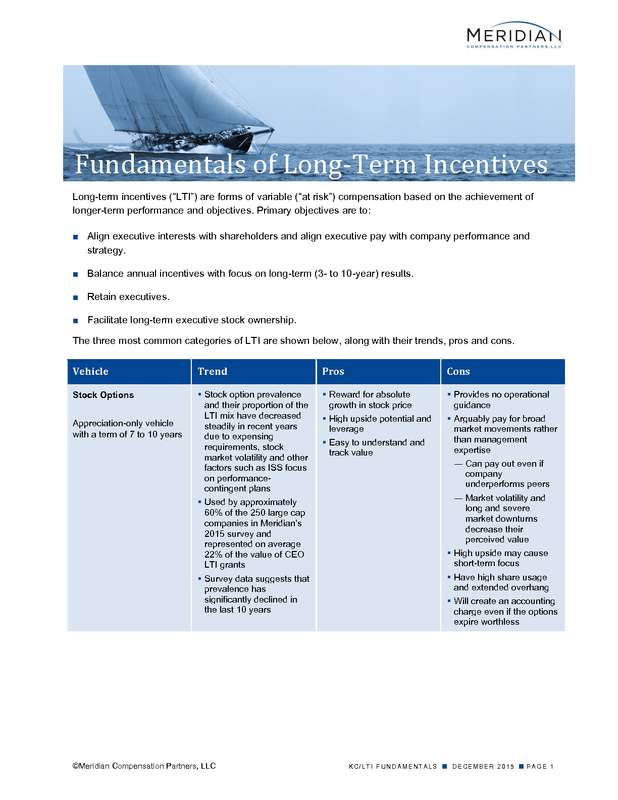 Pros and cons of the three most common categories of long-term incentives. Align executive interests with shareholders and align executive pay with company performance and strategy. Balance annual incentives with focus on long-term (3- to 10-year) results. Facilitate long-term executive stock ownership. The three most common categories of LTI are shown below, along with their trends, pros and cons.